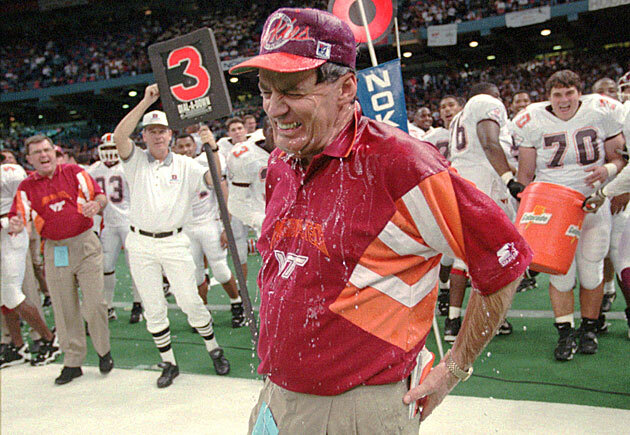 Frank Beamer made Virginia Tech go big time but never did himself. That was key to the stability of the success he built. On a Saturday afternoon in March 1987, Billy Hite was puttering around his house in Blacksburg, Va., when he heard a knock on the door. He looked out and saw Frank Beamer standing on the stoop. Hite was an assistant football coach at Virginia Tech, hired by Bill Dooley. Beamer had recently been hired as Dooley’s replacement. This is it, Hite thought. He’s come by to let me go. At least, Hite thought, he has the decency to come by and do it face-to-face. Opening the door, Hite got a nice surprise. ​Hite chuckled at the memory almost 30 years later. 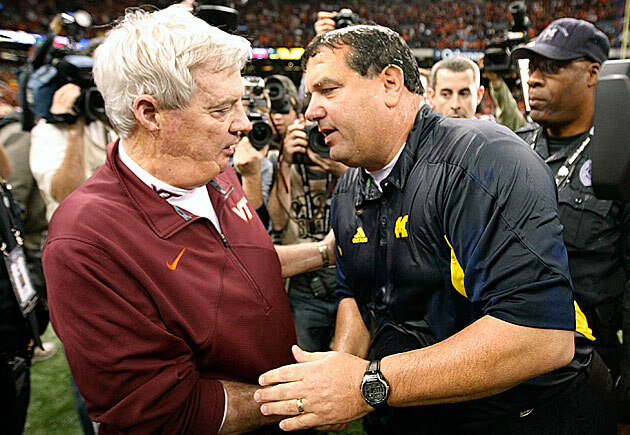 Beamer didn’t want to fire him. He just didn’t want to watch the NCAA basketball tournament alone. “He always liked North Carolina basketball. [His wife] Cheryl wasn’t there yet. My family was out of town. So he came over and watched the games with me,” Hite said Sunday. Beamer, now two weeks past his 69th birthday, announced Sunday he will retire at the end of the season. He’s won a ton of games since he knocked on Hite’s door that day (235 at Tech, 277 overall), he’s made a ton of money and he took the Hokies from a non-factor into a perennial power. Virginia Tech went big time. One thing, Hite emphasized, never changed. Beamer did not go big time. He’s older, wiser, richer now. But he’s essentially the same guy who knocked on the door and asked Hite if he could come in and watch basketball. Beamer once went four years in the early 2000s without a single change among his full-time assistant coaches. Three of his current coaches have been with him at least 20 years, something almost unheard of in college football. It speaks volumes about the man in the head coach’s office. “The way he treated us, the way he treats our families, that’s why no one wants to leave there,” said Hite, now retired but still living in Blacksburg. “We’d have a big family dinner at the training table once a week. Kids and families were always welcome there. Some days it would be like romper room with all the kids running around. Hite conceded that he’s started to worry about his friend and former boss in recent seasons as the level of success the Hokies achieved started to slide. Tech didn’t qualify for a bowl game in Beamer’s first six seasons. It earned a spot in the Independence Bowl in 1993 and hasn’t gone a season without a bowl appearance since. From 2004-11, Tech won at least 10 games every year. But the last three-plus seasons have been an exercise in mediocrity. While the bowl streak is intact (for now), the Hokies have posted just 26 victories the past three-plus seasons. That includes four this year, against five losses. They need to win two of their final three to keep the bowl streak alive. An overtime loss to Michigan in the Sugar Bowl after the 2011 season had more of an impact on Beamer than any other loss, Hite noted. Tech was 11–3 that season. The slippage started the next season. Beamer has always maintained that he’d know when it was time to leave. No one would have to tell him. Virginia Tech’s his alma mater. He played there. He wouldn’t stay if it put Tech in a bad spot. He badly wanted to coach a 30th year and be on the sidelines when Tech plays Tennessee at Bristol Motor Speedway next season. Now that isn’t going to happen. We’ll take it on faith that this was Beamer’s decision, made in conjunction with his family and without any outside influence. Hite has no doubt that’s the case, that Beamer indeed wouldn’t have to be pushed toward the door. “He wants what’s best for this university and I’m sure that’s why he did it,” Hite said. So what’s next? Beamer has made Tech a high-level job, and the university won’t lack for interest. Rumors have been flying about Arizona’s Rich Rodriguez for months, primarily because of his previous connection to Tech athletic director Whit Babcock. But no one really knows for sure who will be calling the shots next season. The only thing we know is it won’t be Frank Beamer for the first time since 1987. Hite hopes Beamer is able to end his career with his bowl streak alive. The Hokies have games left against Georgia Tech, North Carolina and arch-rival Virginia. Beamer and Tech have won 11 straight against the Cavaliers. SI.com senior editor Mike Harris covered Virginia Tech athletics for the Richmond Times-Dispatch from 1992 until he became the paper’s sports editor in 2006. His book, Game of My Life: Virginia Tech, with a foreword by Frank Beamer, was updated and re-released in July.